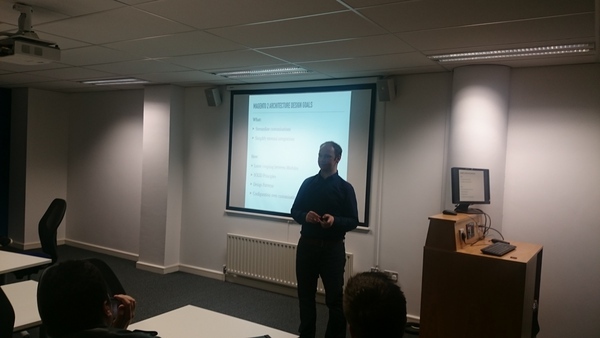 February 9, 2016 one more Magento Meetup 13 took place in Ireland, Dublin. As usual there were 2 topics. 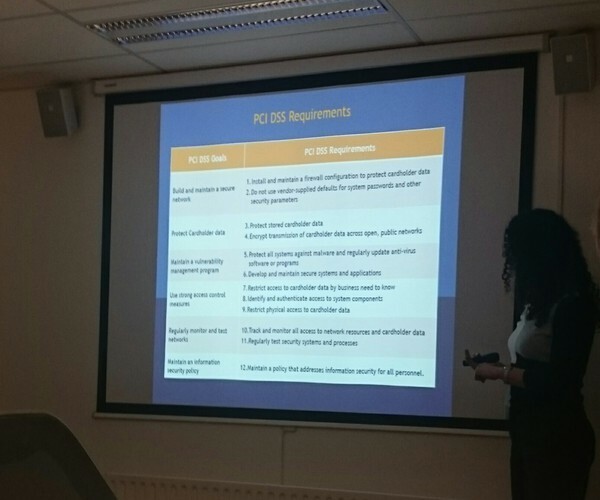 First one was about Magento 2 Design Patterns and second – PCI Compliance for eCommerce. The Magento Meetup Dublin event took place in same place, DIT Aungier St. This time I knew exactly how to get there because it is my second time visiting Magento Meetup in Dublin. By the way, I am looking for close to Ireland Meetup events so I can visit and share an update with you guys. At this time I have had a chance to speak about Design Patterns in Magento 2. Stephen Kenealy called me the other day to ask whether I am available for a speach. Starting from 2016 year I commit myself and posted my commitment to public to share everything I know about Magento 2 and help as many Magento Developers as possible. The presentation was to demonstrate how Design Patterns are used in Magento 2. I remember there was a time when during work at Magento 1.x project we were looking for some Design Patterns. You may also find interesting post from Cool Ryan about Design Patterns in Magento 1 and Alan Storm’s post for Design Patterns in Magento 2. In the presentation I highlighted SOLID principles and some of Design Patterns. Of course in Magento 2 there are big amount of Design Patterns to solve such architectural goals such as “Streamline customisations” and “Simplify external integrations”. You may want to open any class and see at least 1 usage of a Design Pattern. For example, ObjectManager class implementation from Magento\Framework library uses Builder, Factory Method, Decorator, Composite, Value Object, Strategy and many more Design Patterns. I am going to share Magento 2 Design Patterns slides next week. After Magento 2 related topic there was also a PCI Compliance topic. The topic was presented by Natasja Bolton and Ian Wright from Sysnet Global Solutions. Presentation was very informative and interesting. Natasja highlighted importance of being PCI Complient and passing PCI Compliance for eCommerce website. PCI Data Security Standard (DSS) provides minimum baseline requirements for processing credit card data. The standard is applied to all Merchant’s internal network in case this network accepts, process or stores payment card data. What is important in PCI DSS that even if you have a computer in your internal network which somehow access payment card data should also pass PCI Compliance. The presentation should also be available soon. At this event together with Stephen we decided to stream the event via Periscope. There were 2 cameras showing from different angle presentations. It was great idea so far and the plan is to continue stream Magento Meetups. It was one more interesting Magento Meetup event. There were good discussions during and after the event. As ussual we finished Meetup in pub talking about Magento. Next Magento Meetup Dublin is going to be great. 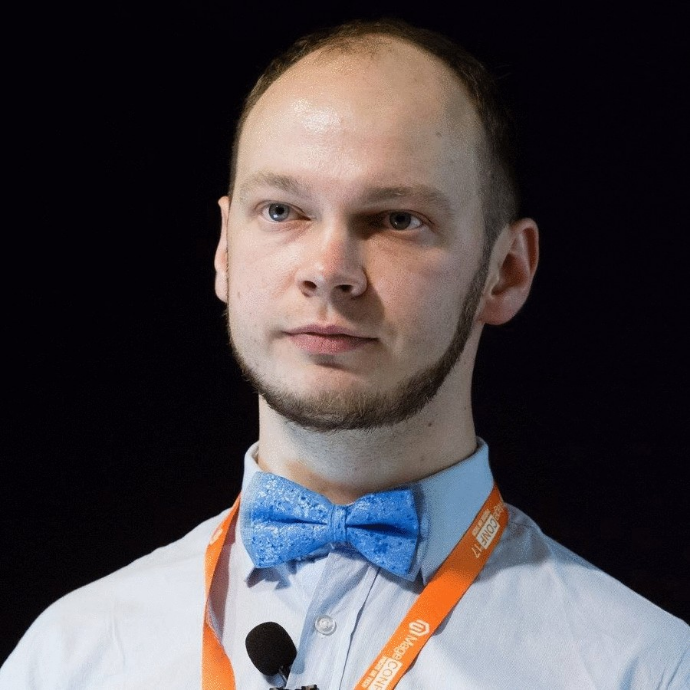 Ben Marks will be speaking about Magento at the event in March 2016. I will definitely come.